I ALSO just got home from my screening. I'm not going to totally agree with @Joshua Matteo. I enjoyed it. I had zero expectations and I came out having a fun time. Its better then P2 and the AVP films... And I think I liked it more then Predators. Will have to give it time. Obviously nothing can touch the first film. But I don't think it was a "horrendous mess". Non-Spoiler stuff. The movie has A LOT of humor (Almost too much sometimes). 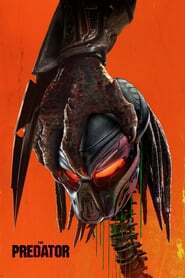 If you are wanting a dark gory intense Predator movie... this isn't it. It has a very different tone then I think people are expecting. Its not necessarily a bad one, just very different for this franchise. In all honesty, i think it needed it. These movies were taking themselves too seriously and Shane Black has made it his own. Everything moves in a really fast pace, and not in a good way. Plot lines are rushed or cut out possibly. Things often don't make sense. And the very end felt like a super-hero film rather then a predator movie. Like... the suit thing was cool and all... but come on really? That is suppose to save the human race? I know this is trying to set up a sequel but I didn't think it worked. While I like my Vancouver boy Jacob Trembley... he kind of is the low point of the movie and come close to being like one of the kids in a Jurassic Park film. Where the whole thing would have been better without them in it. Not the actor, just the whole kid character. I liked the predator dogs at first (when they were bad). But once one of them became "good", and it was their pet, it lost me. The Hunter Predator was wicked tho. He has some fun kills and felt really intimidating (But not really scary). I wish they could have kept him a secret and not shown him in the previews. The cast was good. Liked most of them. Thomas Jane's tourette's acting was hit and miss tho. Bottom line this is an uneven film but still an enjoyable one. Shockingly humorous, right?! Glad you enjoyed it. I am sure I will revist sometime in the future and looking forward to watching AVP. the big science lab scene. I was hooked by that scene and personally felt aesthetically the movie never topped it, instead spending time in the subarbs. I'm with you on that! That scene was great. Probably the most intense part of the entire movie. Jesus. Just watched this ( paid £5.49 on sky store to rent it ) what a waste of money. How anyone can say this was better than Predators is beyond me, this was utter drivel. If they continue the franchise like this, they will literally kill the franchise. But.. The franchise is already dead ! Just Predator 1 and 2. END OF THE STORY.